When Ben sees Gram for the first time since her stroke, Ben realizes she looks and behaves differently. He soon learns that Gram has a communication disorder called Aphasia, which can affect a person's ability to speak, read, and write after having a stroke. Ben wonders how they will return to enjoying comic books and their superhero adventures together without words. He misses his grandmother. Love After a Stroke is a children's book about loving someone beyond words. 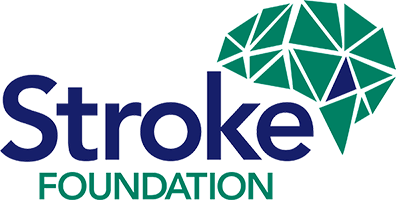 Strokes can often lead to sadness, frustration, and isolation for both the stroke survivor and his or her loved ones. Yet, through patience, determination, love, and a little creativity, relationships can become stronger after strokes. Although the ways Ben and Gram communicate after her stroke have changed, Ben discovers that Gram's love for him will always remain the same. "A children’s book that tells the story of a grandparent’s stroke and aphasia rounds out our top 10 [books on stroke]. Speech pathologist, Megan Nosol, wrote this book with her own children in mind, thinking about how she would explain this complicated communication disorder to her curious, young sons."